The Dino Cars GoKart BF3 2018 Model is asuitable for racing enthusiasts from the age of 5 to 99 years thanks to its six times adjustable seat. 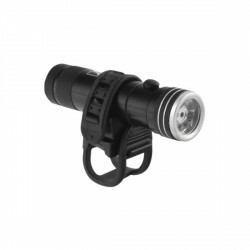 Due to the excellent workmanship and many little details more safety is given. For instance, the chain of the Dino GoKarts is covered and the driver cannot touch mobile parts. Reflectors on the wings of the GoKarts increase distinctively the visibility. 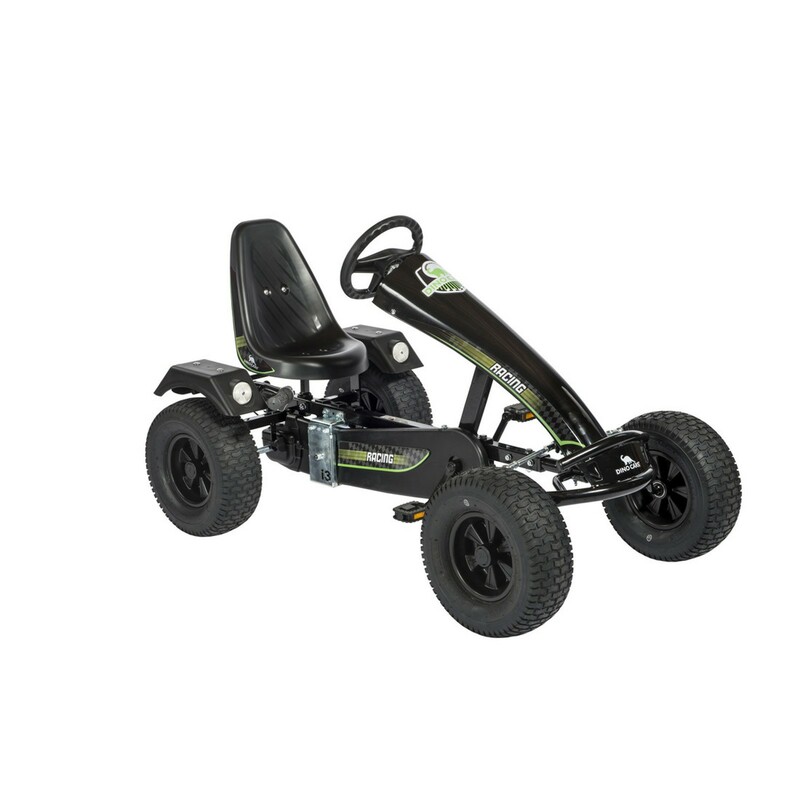 It is not only the three gears and the wide, pneumatic tyres, which are responsible for the comfort of the Dino Cars GoKart BF3 2018 Model. 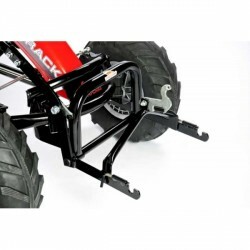 The swing axle, for instance, ensures a straight and regular driving of the Dino Cars GoKart BF3 2018 Model even on uneven grounds. 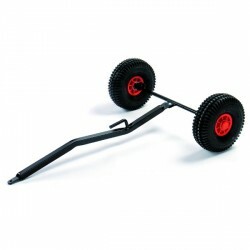 The plastic-covered steering bar and spherical head bearing of the steering allow a precise steering. The design of the GoKart is another convincing feature: the stream-lined spoiler and sports steering wheel offer a real racing feeling. Top Qualität, hält was die Beschreibung verspricht. Kart wurde super verpackt, keine Transportbeschädigung, Spedition hat sich wie gewünscht vorher telefonisch gemeldet. Das Dino Cars GoKart BF3 ist wie in der Beschreibung auch tatsächlich so, ein Super Teil und sehr stabil. Das Kart war gut verpackt und hatte nicht einmal einen Kratzer. Die Spedition hatte auch wie gewünscht einen Tag vorher angerufen um einen genauen Liefertermin zu vereinbaren. 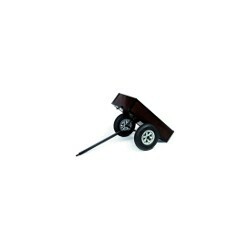 Dino Gokart tilting trailer In stock! 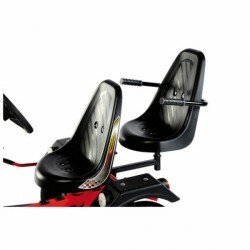 Dino Cars GoKart additional seat In stock! Less than 5x available, further are coming. Dino Cars headlight LED In stock!